What do you do when creditors from your spouse’s past threaten? Chances are your first reaction is to put the title to your biggest assets in just your name. Just because the deed to the house now reads Jane Doe instead of John Doe and Jane Doe it’s easy to think the house is Jane’s separate property and the operation of California community property law has been beaten back. Why does it matter whether the house or a business is community property? Because the character of the property determines which creditors of the married couple can levy on the asset to pay a debt. Community property is available to creditors of either spouse, for debts incurred during their marriage and before marriage. Registered domestic partners are also presumed to have community property and are subject to the benefits and burdens of community property. One couple I saw this week had started a business during the marriage and issued the stock in the corporation in the name of one spouse alone. They thought that holding the stock in just one name made it the separate property of the named spouse, and insulated the business from the $ 1 million pre marriage tax debt of the other spouse. California law starts from the proposition that all property acquired by a married person during the marriage is community property. CA Family Code 760. Which spouse’s name is on the property doesn’t alter the character of the property. So when a married woman buys a house in her name alone, it is presumed to be community property. If you want to beat the presumption, you have two alternatives. The first is a prenuptial agreement that defines whether you will have community property in your marriage. You are perfectly free to make such an agreement. It needs to be in writing and is subject to rules about genuine understanding about the effect of the agreement. Remember the Barry Bonds case? The second is transmutation. That’s a big word that means changing the legal character of property already owned by the couple. 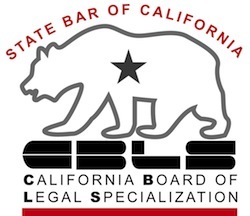 Because transmutation has such a significant effect on the legal rights of the spouses and their creditors, California law sets out the requirements of a valid transmutation. Family Code 852.
made by or consented to by the party adversely affect. Remember that the claims of creditors on the community property was the usual reason spouses try to change the character of property, to build a wall around an asset that the creditors of one spouse might reach. For that reason, transmutations are subject to that collection of laws that prohibit transfers that frustrate creditors’ rights. Those laws, dating back to the 17th century, allow creditors to follow property transferred without consideration, i.e. an exchange of value, even though now titled to someone else. California statutes on transmutation clearly warn that transfers among spouses are subject to the laws of fraudulent transfer. Transfers of real property between spouses are only effective if the deed is recorded. If you are content to have your accumulations during marriage classified as community property, it’s hard to muck that up on your own. But if you, and your mate, genuinely want some or all of your assets to be the separate property of one spouse, to the exclusion of any interest in the other spouse, you need to do far more than just change the name on title. More on community property basics. *In the event of divorce, it determines whether the court can divide the property.